Our customers trust us, not only to provide them with parts, expertise and excellent service but to respect their privacy as well. During all our years in existence, we have never capitalized on that trust by renting or selling our customers' names, addresses and/or personal information. This has been our policy from the start, and it continues to be our policy today, whether you shop by phone, by fax, by mail or here at our online store. Information You Give Us: We receive and store any information you enter on our Site or give us in any other way. In this manner, when you call or visit our Site in the future, you will not have to be inconvenienced by providing your information repeatedly. Children: We do not wish to obtain personal information from children who are using our Site unsupervised. Thus, we ask children to obtain the consent of their parent or guardian before providing us with any personal information. Use of Information: We also use the information you provide us for internal marketing purposes and for administration of the Site. Distribution of Information: Information about our customers is an important part of our business, and we use it responsibly. We do NOT sell or distribute any personal information about you to any other person or entity except as necessary to process an order or provide a service or product you requested to you. An example is processing credit card payments. We use industry-standard methods to protect your personal information from unauthorized access. Among other techniques, we have a server and usually store your information on a computer behind a "firewall" in a secure location. Of course, there is no such thing as "perfect security" on the Internet. Further, please note that our servers are operated by a third party Web host whose actions we do not control. This Site contains links to other sites. 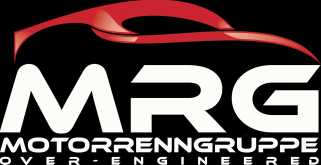 MRG LLC is not responsible for the privacy practices or the content of such web sites.